“We’re going to deviate from historical truth, [but] we just want to do it intentionally. A lot of the support we get from our friends from Sony in Japan, and our Japanese friends in Sony US, and all the cultural consultants we’ve assembled to help us do this stuff, is to make sure we don’t deviate accidentally. There are things we are going to do that are different and we want to choose those wisely. […] The challenge for us, making a game, in an original story but taking place in a real historical time, is making sure we’re telling a story that people can relate to. When we are deviating from this historical truth, we are doing it to stop you from snagging on stuff. Unsurprisingly, Sucker Punch has also played around with Ghost of Tsushima’s combat. Real-life samurai sword battles were typically quick and deadly, without a lot of focus on flash. Tsushima, on the other hand, will let you pull off moves real samurai would have never done, like super cool, but strategically foolhardy, spin strikes. Don’t expect one-hit kills either – Sucker Punch experimented with them, but found a more traditional back-and-forth combat system was more fun. Based on the footage and demos we’ve seen, it definitely seems like Ghost of Tsushima will represent a heightened take on history. A mix of real-life, myth, and images lifted from samurai movies/anime/games. That’s fine by me – I’m eager to get the samurai badassery started. Ghost of Tsushima is coming exclusively to PS4. The game doesn’t yet have a release date. 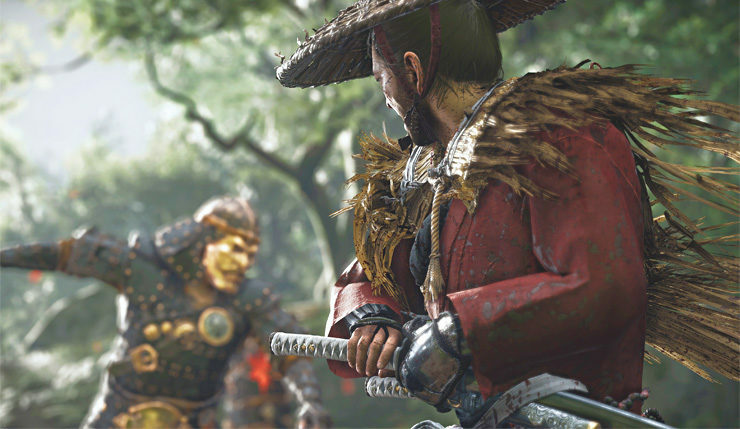 You can check out Wccftech’s exclusive Ghost of Tsushima interview with Chris Zimmerman right here.